The museum occupies the town's old music hall and includes geology, archaeology, social history, arts and photography collections. Located in the basement of the building is the museum's exhibit storage facility, consisting of a mix of ceramics and artefacts. A suitable storage solution was required to accommodate these items. With restrictions of space, reduced height and the inclusion of a false floor, Link 51 achieved full space utilisation by installing a mix of Stormor mobile shelving units and static shelving. 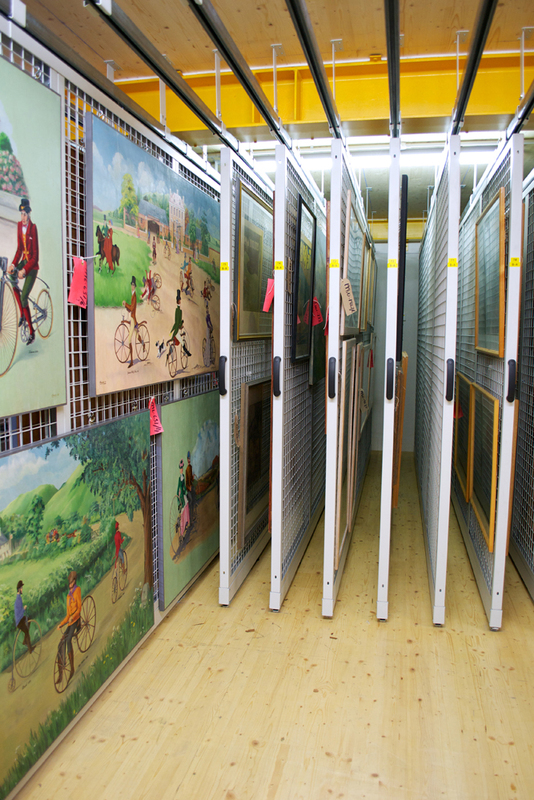 In a separate facility within the museum, Link 51 also installed racking for the archival storage of pictures. The racking provided a high density and save storage solution that can be extended as and when required. 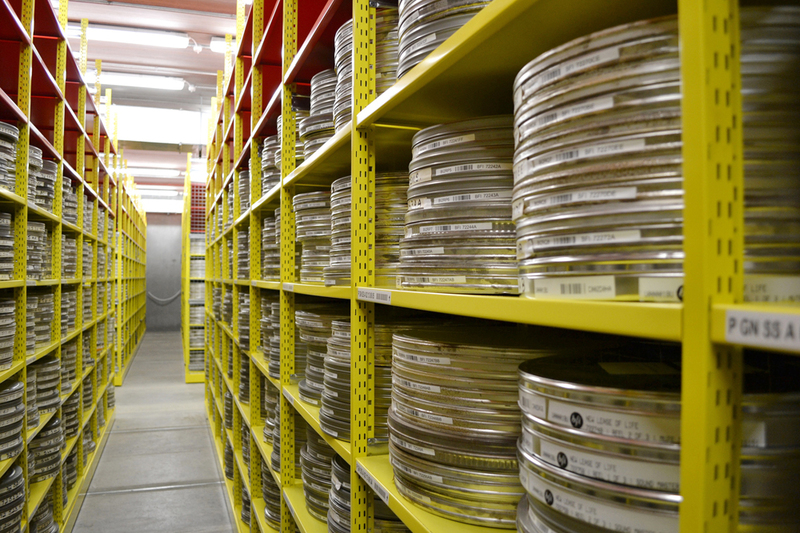 The BFI has one of the largest film archives in the world. Their collections accommodated at several sites, one of which is the 3,000 sqm BFI master film store at Gaydon in Warwickshire, housing 140 million feet of flammable nitrate film, acetate and other media. The fire-resistant building consists of six large acetate and thirty smaller nitrate film storage cells. Operating to strict temperature controls of -5 C and 35% relative humidity, a mass storage solution was required to accommodate up to 458,000 'cans' of nitrate and acetate master film material. Link 51 based their solution on the use of Stormor mobile shelving units for all 36 cells, with each unit featuring wire mesh panels to the rear to ensure an even flow of cooling throughout. Static shelving was also installed in the 30 nitrate cells to make the best use of available space. 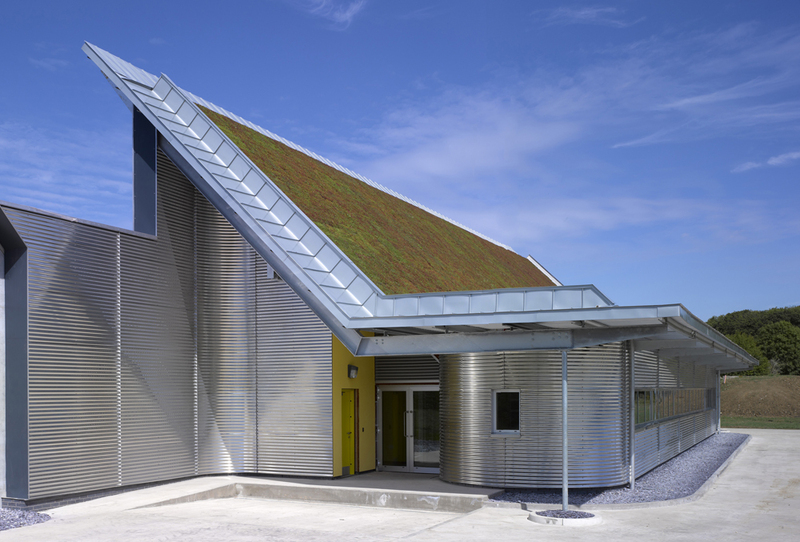 The Science Museum Group, based on Wroughton Airfield, Wiltshire, is home to the award winning HEMCRETE® museum store. For the museum's fine art collection and boxed paper archival storage, Link 51 installed a number of double sided, pull-out hanging racks with each rack suspended from the ceiling to keep them clear of the floor. Link 51 provided additional storage on the top floor including Stormor mobile shelving units and static shelving for boxed paper archival storage. 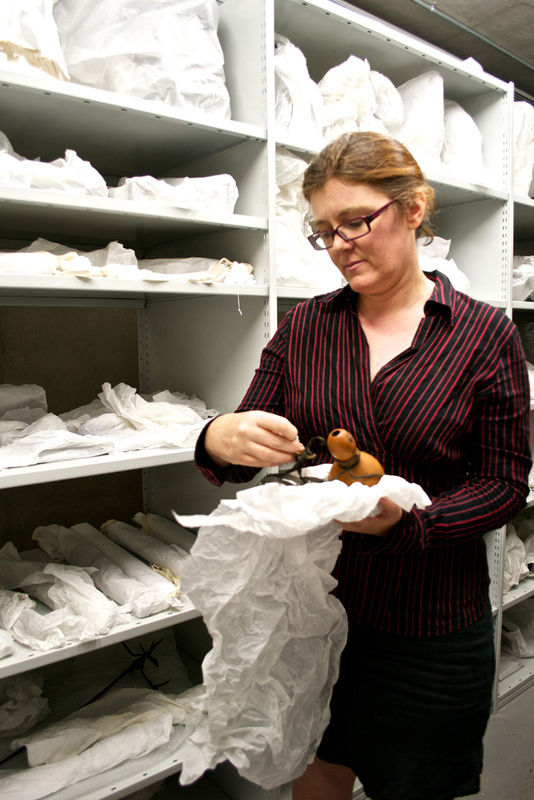 Link 51 provided a flexible storage solution for Barnsley Museums with a number of Stormor mobile shelving units allowing them to accommodate both their archival and local studies collections. 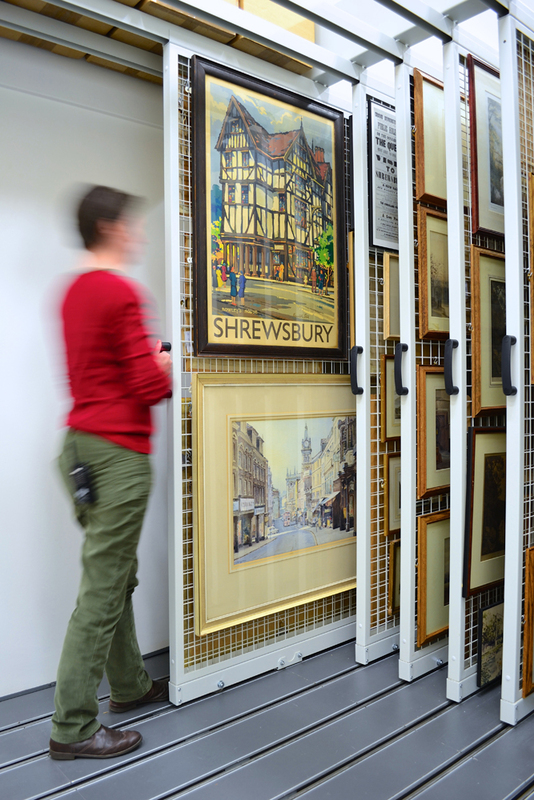 Due to a requirement for the safe storage of their gowning art collection, Link 51 also installed picture racking to assist in reducing handling and preventing damage. Founded in 1981 as the UK's first black heritage archive centre, their collection of over 10,000 historical documents and 7,000 catalogued library books are housed in Raleigh Hall on Windrush Square, Brixton. 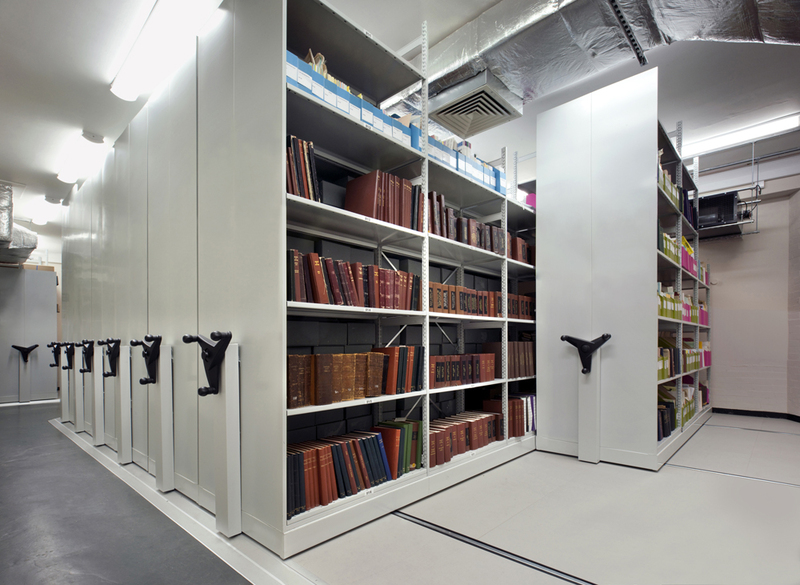 For their main archival store, an integrated storage solution was required that could house the collection's papers, periodicals, ephemera and photographs, whilst providing extra capacity for future growth. Link 51 installed Stormor trackless mobile shelving units, providing a flexible, space efficient storage solution. To accommodate outsized and irregular items, a number of runs of static shelving were also installed. 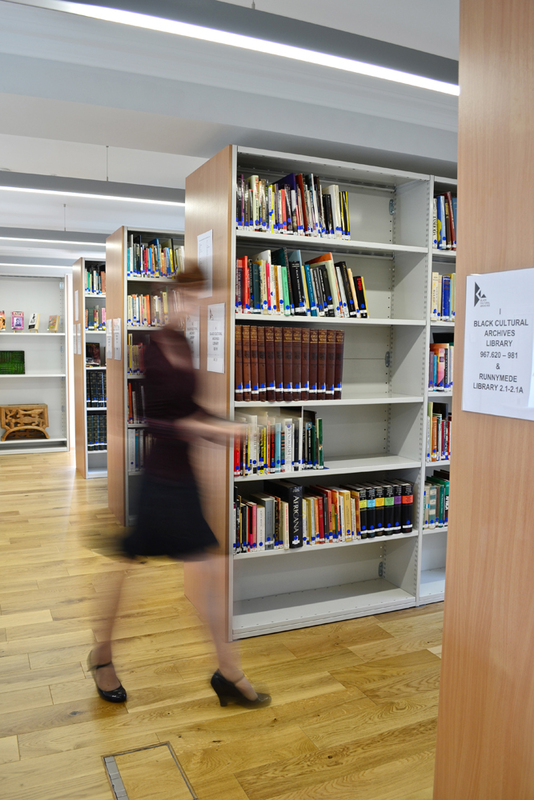 For the library, Link 51 installed Stormor static shelving, featuring MFC timber-effect cladding on the ends of each run to complement the library's contemporary decor. This museum centralises important and significant items of militaria and documents on behalf of the county infantry regiments of Oxfordshire. 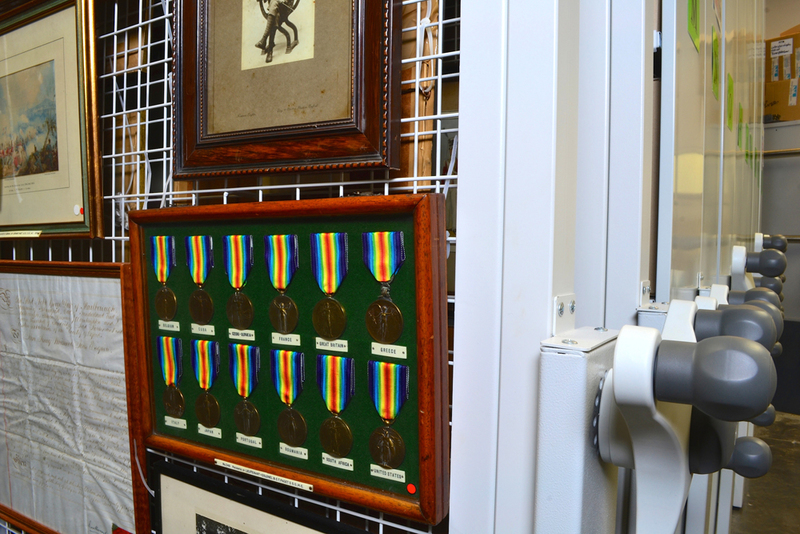 Given the limited space, Link 51 provided a workable storage solution that gave the museum the opportunity to properly hang uniforms, collate archival material and catalogue accurately. The installation consisted of a number of extra height mobile shelving units and picture racks. Alongside the storage of archival boxes, some of the mobile units were configured to provide hanging garment storage, while the picture racks ensured a high density and safe storage that can be expanded as required. For over 60 years Link 51, a leading UK manufacturer of storage equipment, has provided storage solutions to large museums such as the Science Museum, Natural History Museum and the British Museum as well as many smaller specialised museums such as the Hereford Cider Museum, the Soldiers of Oxfordshire Museum and the Great Western Railway Trust. 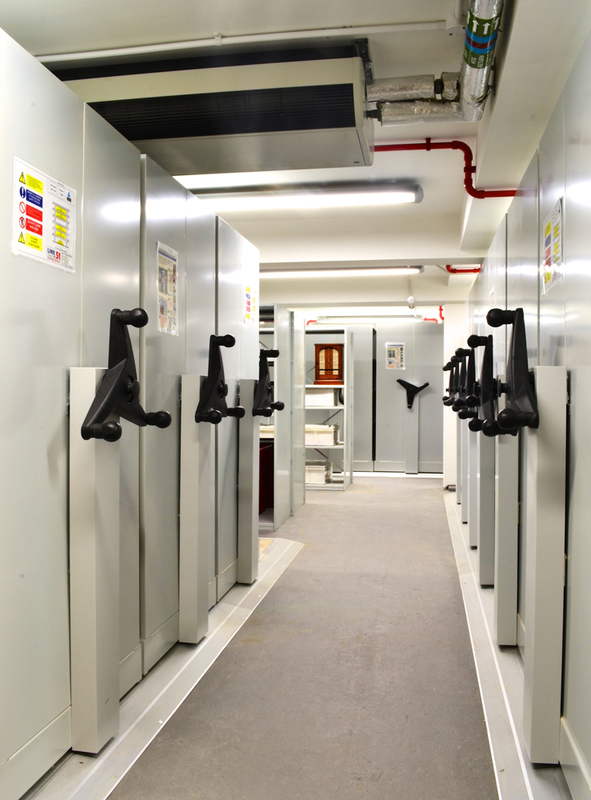 Our experienced designers provide bespoke systems including static and mobile shelving, archive storage, document and record storage, map tanks, plan chests, picture racking and accessories to meet industry standards.